AMSTERDAM, NETHERLANDS (March 12, 2018) - mycujoo, a leading live-streaming football service specializing in the long tail/ non premium football content, announces an exclusive partnership with the Japan Women’s Football League. 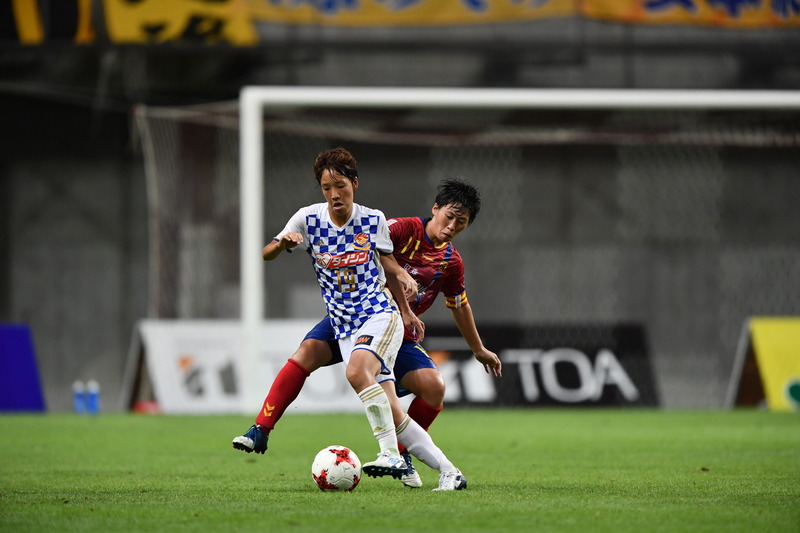 Under the agreement announced today, mycujoo and the Japan Women’s Football League will be live streaming the Plenus Nadeshiko League 1 this season, providing unprecedented availability of the league’s matches worldwide. "We are delighted to partner with the Japan Women’s Football League for the 2018 season. Having supported the development of the women’s game since our foundation, increasing the coverage of women’s football is part of mycujoo’s DNA. We are very excited to help deliver the broadcasts of one of the world’s most recognised women’s competitions in a year in which it celebrates its 30th anniversary. Through this global partnership, clubs will be able to generate greater visibility, and players will be able to watch and share their own highlights. Fans will also be able to engage with their favourite teams and players more than ever before by watching and sharing the games and highlights, either live or on-demand." "We are very happy to have signed a partnership with mycujoo, which has experience of streaming in more than 60 countries. We will strive to make the Nadeshiko League a competition that will be watched by fans all around the world." This partnership comes as a logical further step for mycujoo’s continued emergence in the Asian market, ever since the live streaming service entered in an agreement with the Asian Football Confederation in 2016. Under this agreement with the confederation, with which mycujoo became the official streaming partner of the AFC, mycujoo has successfully introduced live streaming in 29 Asian countries. mycujoo is a key actor for the development of women’s football worldwide. Its very first partner was FC Zurich Frauen, and since then the streaming platform has not stopped supporting the women’s game, streaming matches from the Paulista Feminino, the Danish 3F Liga, the Myanmar Women League, and matches of the UEFA Women’s Champions League, among others. mycujoo offers a football-specific, free-to-use streaming service at the lowest possible access costs, enabling clubs and competitions at any level to seamlessly set up their streams and start reaching new audiences. It allows leagues, clubs as well as local online media to distribute and commercialise the content themselves in partnership with mycujoo, maximising the reach and commercial opportunities in unprecedented way at this level of the game. mycujoo is a football streaming platform designed for the games and players you don’t see on television. We help clubs and competitions at all levels to broadcast their football; building stronger relationships between players and fans. We boost the football players’ experience by showcasing them and we give fans all over the world access to live and on-demand content from their favourite teams. The name “mycujoo” was inspired by “cuju” ( 蹴鞠 ) - an ancient Chinese sport recognised by FIFA as one of the earliest forms of football. mycujoo is actively streaming content from more than 60 countries across 6 continents. More than 2,250 clubs and teams have been streamed on mycujoo since the beginning of the platform. We work directly with hundreds of partners - federations, leagues, clubs. In 2017 alone, mycujoo streamed more than 4,200 football matches live for a viewership of more than 35 million video views over the year. Founded in 1989, the Japan Women’s Football League is the highest level of women’s football in Japan, with 32 teams participating across its three divisions. The top two tiers are known as the “Nadeshiko League”, each of which contain ten sides, with twelve clubs competing in the third division, the “Challenge League”. The Japan Women’s Football League has made a significant contribution to the development of women’s football, which culminated in the national team winning the 2011 FIFA Women’s World Cup, and second-place finishes at the London 2012 Olympic Games and 2015 Women’s World Cup. Many members of the international squad currently play in the Nadeshiko League. A founding member of the competition, NTV Beleza is the league’s most successful team with 15 titles to date and were champions for the past three consecutive seasons.